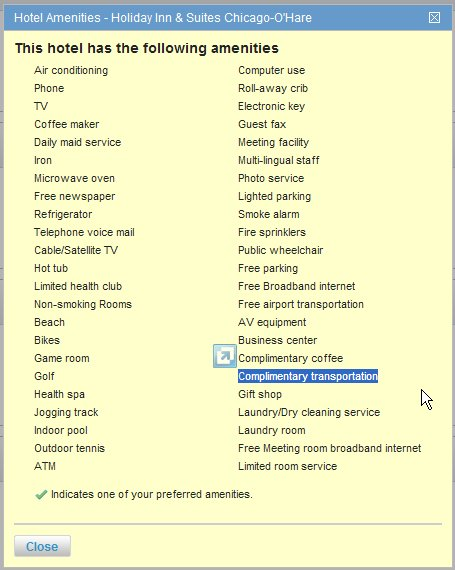 After doing a hotel search, look in the left column for the “By Amenities” box. 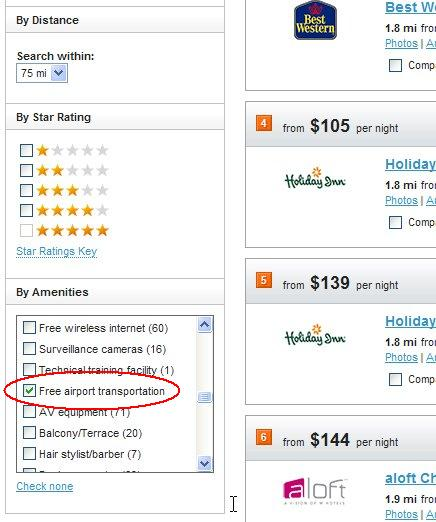 Scroll down and put a check by “Free airport transportation”. 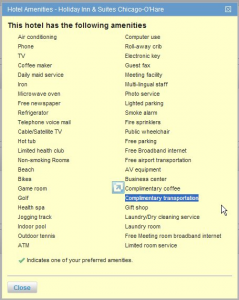 This entry was posted by Kendal Sommers on January 1, 2010 at 12:41 pm, and is filed under Deem FAQ, Uncategorized. Follow any responses to this post through RSS 2.0. Both comments and pings are currently closed.